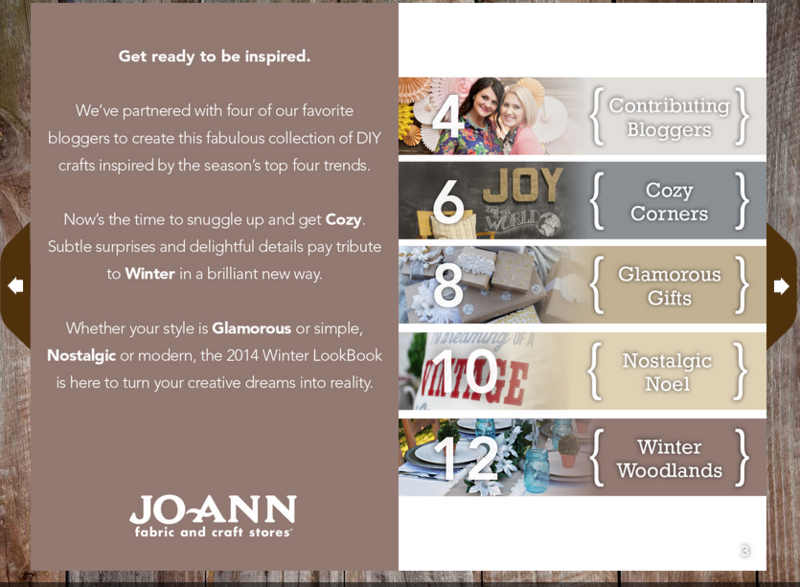 Mallory and I are so excited to be sharing some great news, we were able to work with JoAnn Fabric and Craft Stores to create the Winter Look Book. We were beyond excited about it! We can’t wait to share all of our projects with you. 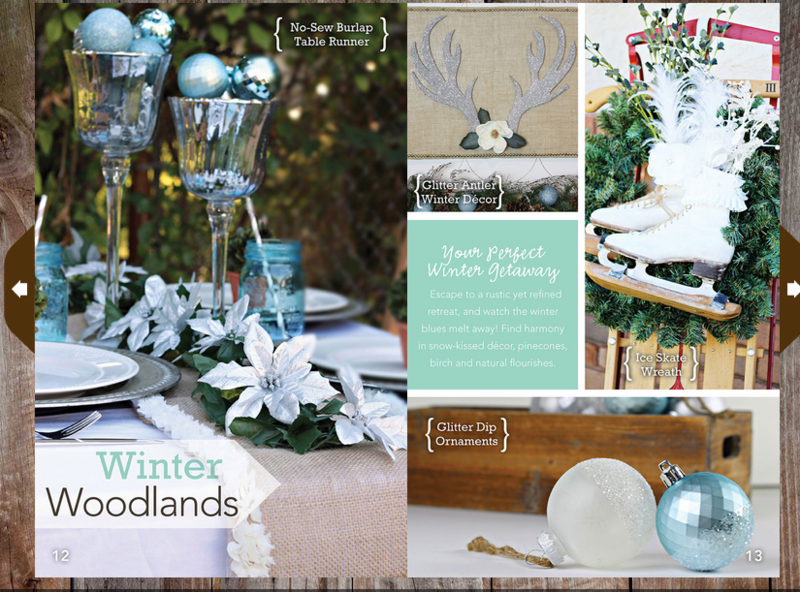 This is one of the projects that I did for them in the Winter Woodland section of the look book. 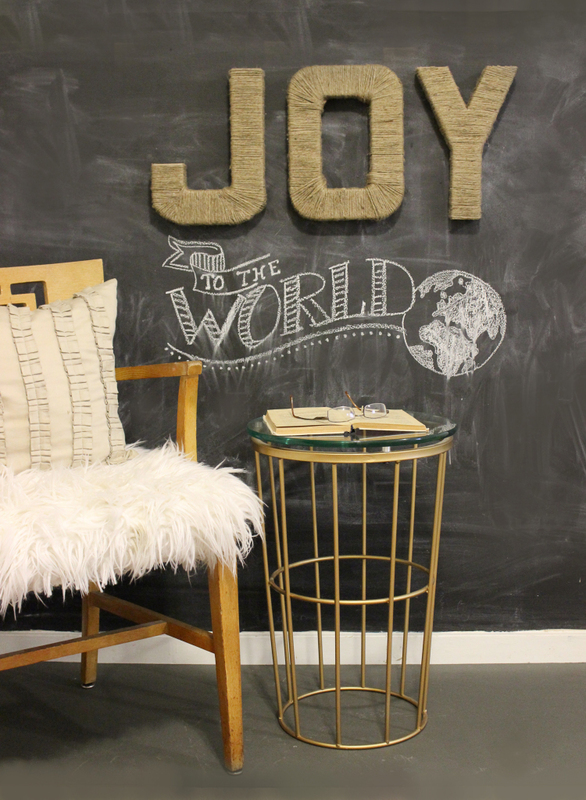 Everything that I used for this project was from Joanns. Here is the list of everything that I used. This is what I did…. it was pretty easy. 1. Connect the Sticky Boards together by using Uglu Adhesive on the back to connect the seam the boards together. 2. Remove the cover from the sticky board and attach burlap fabric. 3. 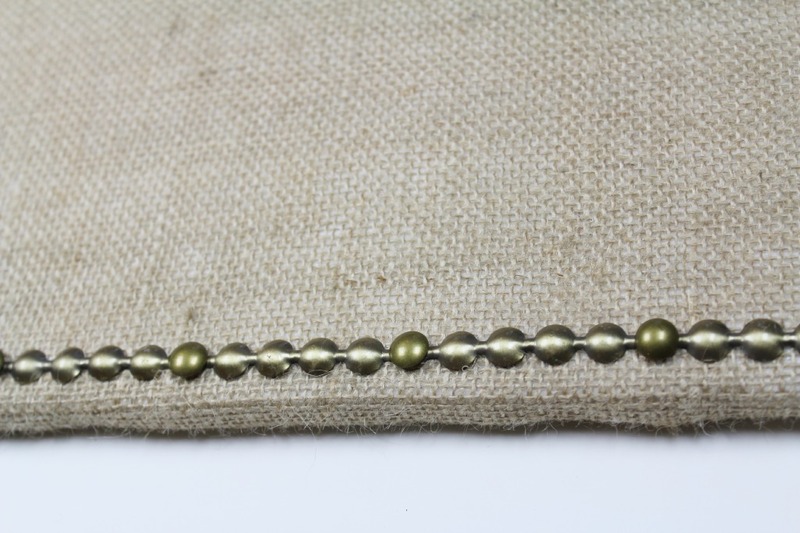 Fold corners of the burlap and wrap like a present around the side onto the back and attach using Uglu Adhesive. 4. 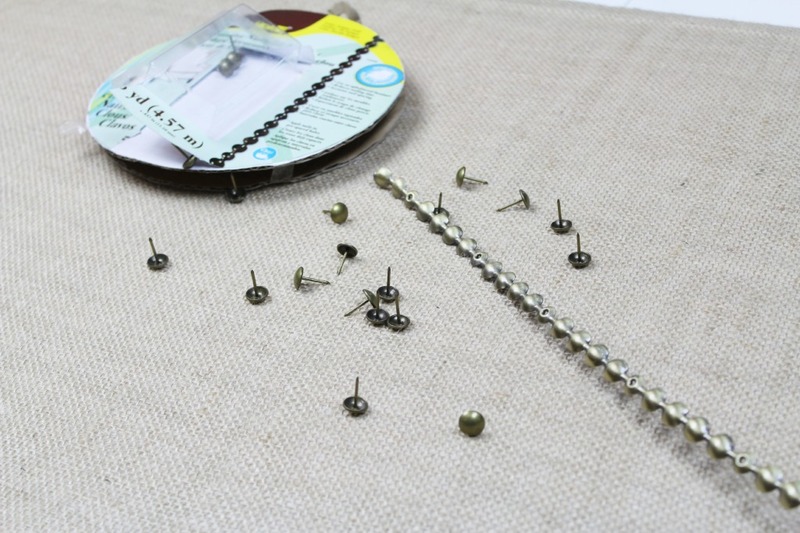 Attach nailhead trim approx. 1/4″ from the edge of the board. 5. Freehand the shape of antlers onto a sheet of paper to use as a template. 6. Start cutting the antler shape on the foam sheets Using Styrofoam™ cutter tool cut around the paper antler template. 7. 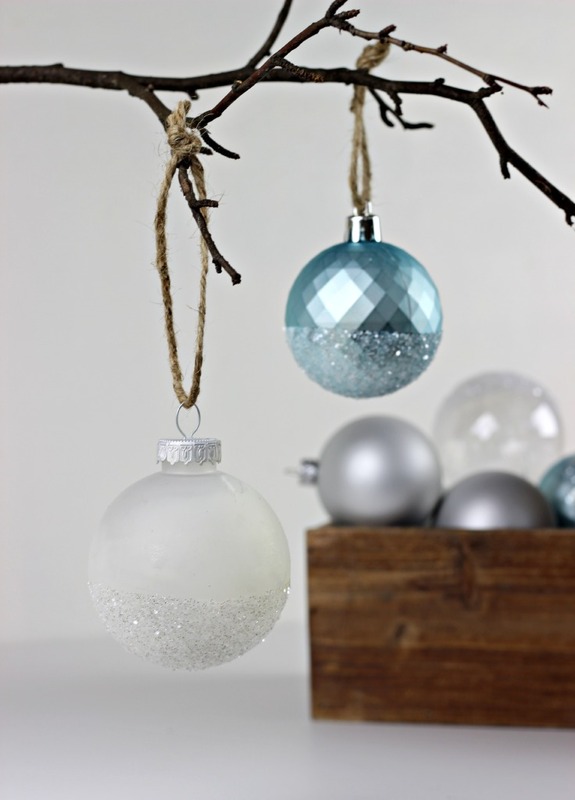 Spray the spray adhesive onto the Styrofoam™ antlers. 8. 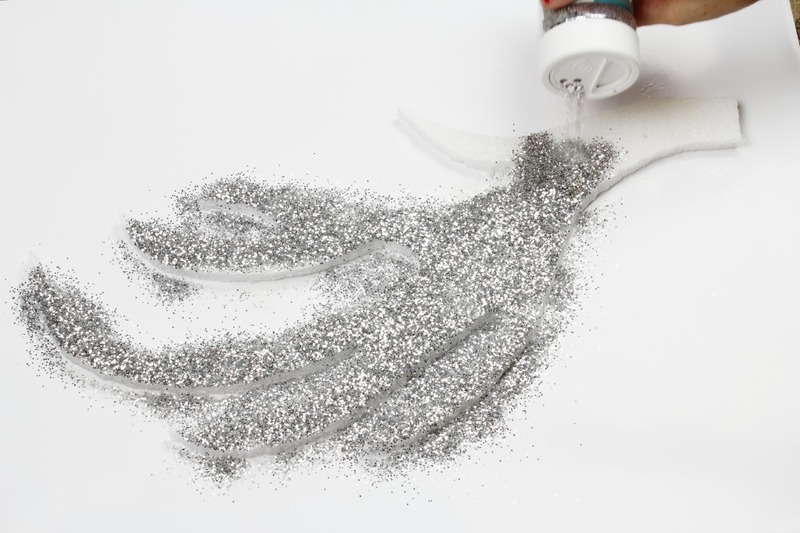 Sprinkle glitter onto the antlers. 9. 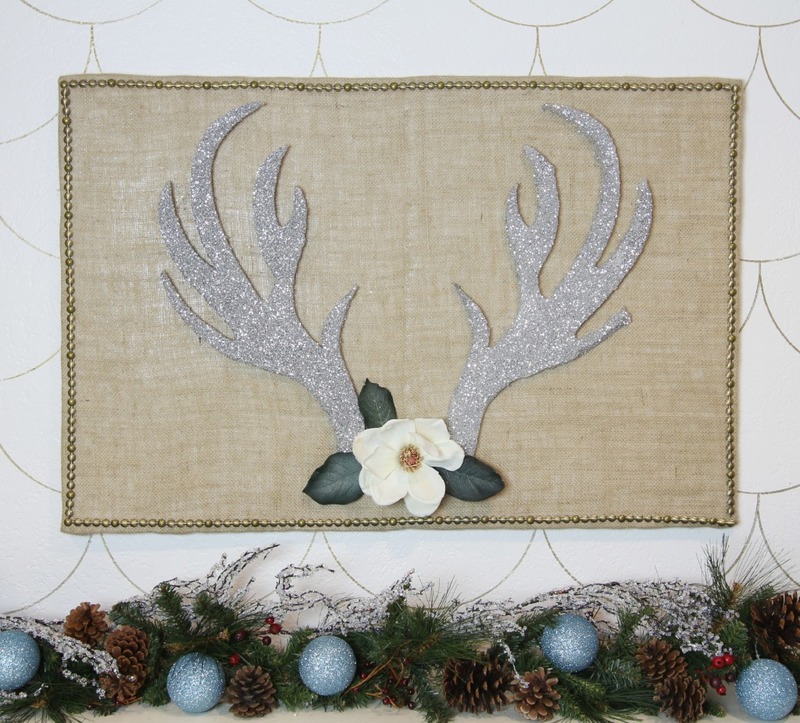 Attach antlers to the board using the Uglu Adhesive roll. 10. Add flower with Uglu Adhesive. Finished! 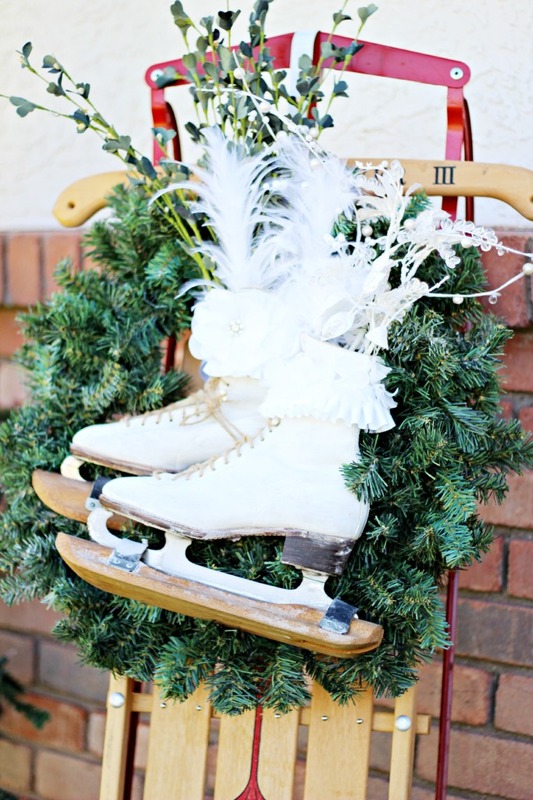 Its so pretty and very easy!